In an article published this morning on opposition sites in Lebanon and in Arab media, the IDF Spokesman, Brigadier General Ronen Manelis, calls upon the citizens of Lebanon to open their eyes to the Iranian takeover of their country, reports Ynet. 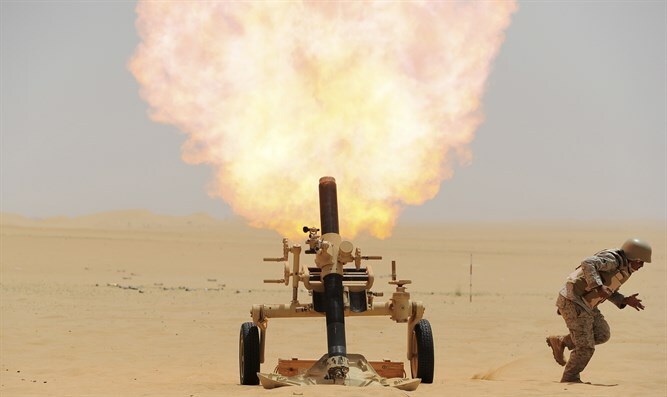 "Lebanon is turning into one big missile factory by act and omission of the Lebanese authorities and a blind eye turned by many groups in the international community," Manelis warned. "It is no longer transfer of arms, money, or advice," the article said. "De facto, Iran has opened a new branch, 'Lebanon branch - Iran is here.' The IDF is prepared and ready for all scenarios, and plans to further improve its capabilities and readiness throughout the year. As we have proven in recent years, and those who need to know about it know, our security red lines are clear, and we prove this every week. The choice is yours, the citizens of Lebanon." "When I'm asked to choose my picture of the year on the Lebanese front, I refer to the joint tour of the Hezbollah terrorist organization's southern Lebanese front commander and his friend, the commander of one of the Shiite militias loyal to Iran, Qais Hazali," wrote Brigadier General Manelis. "The unique picture expresses more than anything else Iranian involvement in Lebanon and raises the veil that covers the reality of Iranian control in Lebanon, which is tightening. It is clear that this unique phenomenon of 'terrorist tourism' is a tangible and unique expression of the danger to the Land of the Cedar's future and the entire region - the danger of takeover by Tehran's henchmen." "The year 2017, like the 11 years that preceded it since the end of the Second Lebanon War, was characterized by relative stability on the Lebanese front. This quiet is to the benefit of residents on both sides. The fact that northern Israel and southern Lebanon have sixth grade children who have not heard an air raid siren in their lives is the significant achievement of the Second Lebanon War and the best proof of the stability of Israeli deterrence and the memory burning among the Lebanese of the magnitude of Nasrallah's previous misadventure." The IDF Spokesman noted that the IDF has spent the past year improving its war preparations on the northern front, including "planning, training, equipping, and significant exercises, the most prominent of which is the Northern Corps exercise, which took place this year for the first time in 20 years, to put into actual practice the IDF's operational plans in the northern arena." Brigadier General Manelis added: "In addition, the intelligence gathering continued, and the Chief of Staff and the Military Intelligence head said that if our enemies had understood how much we knew about them, they would have been deterred from entering the conflict for many more years. We are concluding the year prepared with greater force and we are better prepared for any scenario in the northern arena, even though our ambitions are not for war." However, the IDF Spokesperson notes that "on the other hand, the Hezbollah terrorist organization continued to be involved in wars that were not its own, and even succeeded in increasing its tally of casualties and the economic crisis in which it finds itself. 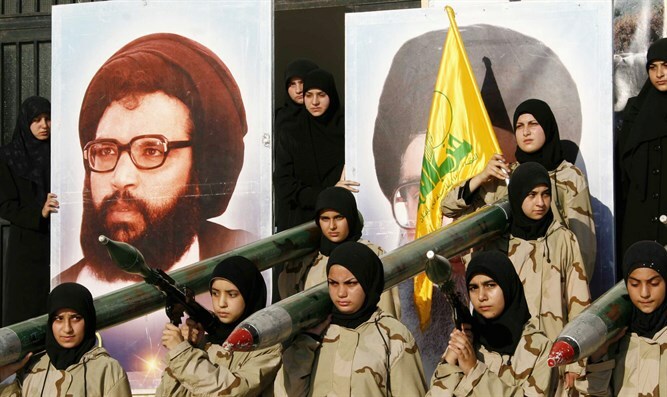 The past year has been further proof that Hezbollah serves as an operational arm of Iran. In every place where there was instability, we discovered Iran's fingerprints and everywhere we discovered Hizbollah's involvement: to Syria they sent thousands of fighters; in Yemen, the battles were intensified by hundreds of advisers; and even to Gaza, Nasrallah boasted that he sent special anti-tank missiles and even met with representatives of all the Palestinian terrorist organizations, some of whom this year also moved to neighboring Dahiya in Beirut. Billions flow from Tehran through Beirut to any place in the Middle East where there is calamity and terror." "In Lebanon, Hezbollah does not conceal its attempt to take control of the state, which was expressed in the following developments: A president who legitimizes a terrorist organization, a prime minister who finds it difficult to function in the shadow of Nasrallah's bullying behavior, the establishment of terror infrastructures and factories to manufacture weapons under the nose of the Lebanese government, and the unhindered military assimilation of the population. "Along the border with Israel, and despite UN Security Council Resolution 1701 prohibiting the presence of Hezbollah operatives in southern Lebanon, Hezbollah continued to challenge the interests of the Lebanese state. 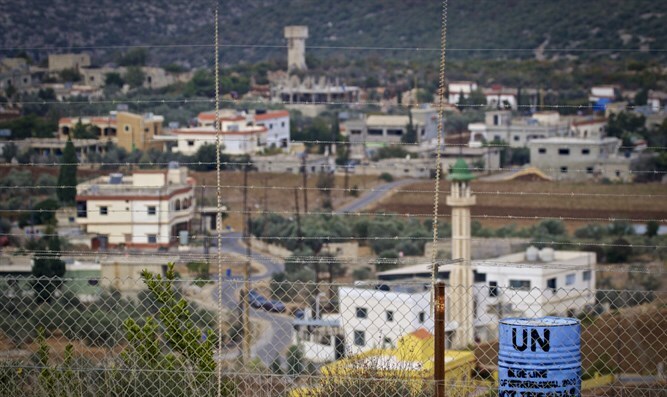 Hezbollah operatives continue to patrol the border in civilian clothes and operate among the heart of the population. Moreover, Hezbollah is trying to recruit and employ officers and soldiers from the Lebanese army to achieve its goal, and in shameless fashion, Hezbollah also invited journalists on a special tour to show how it scorns Lebanese state sovereignty and the decisions of the Security Council. These violations do not threaten us. On the contrary, the distance between a violation that ends in a UN report to one that would lead to security deterioration is first and foremost an Israeli decision." 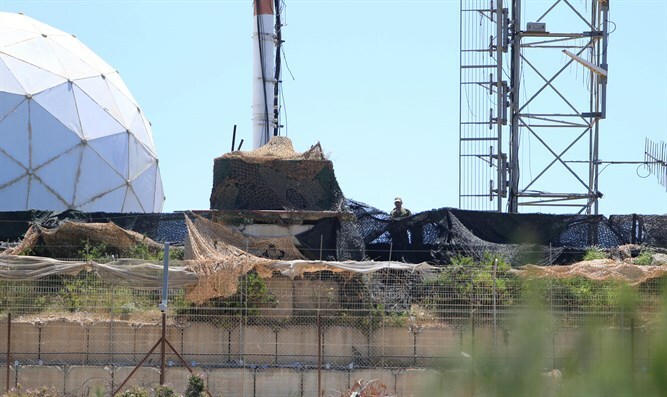 At this point, the IDF Spokesman appealed directly to Lebanese citizens: "The ordinary citizen would be mistaken to think that this process turns Lebanon into a fortress. Is no more than a barrel of gunpowder on which he, his family, and his property are sitting. One in every three or four houses in southern Lebanon is a headquarters, a post, a weapons depot, or a Hezbollah hideout. We know these assets and know how to attack them accurately if required. The future of Lebanon's citizens is a pawn in the hands of the dictator from Tehran, and the same heads of villages, towns, and government institutions who see and choose to remain silent are also to be blamed. "At the beginning of 2018, I think that it is proper to warn the residents of Lebanon of the game Iran has made of their security and their future. This is a year of struggle and a test of how Lebanon will be shaped. 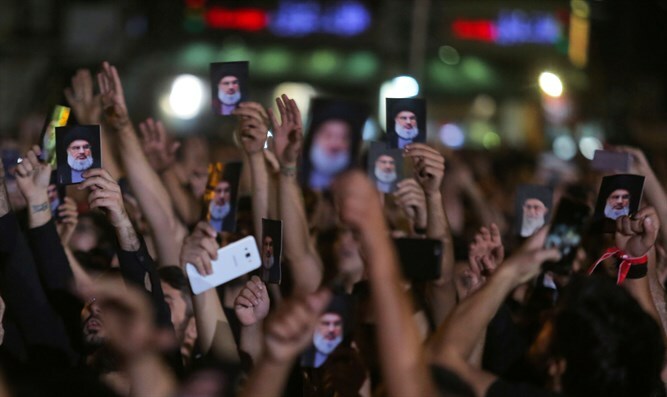 The struggle stems from the need to bring about stability, economic prosperity, and promotion of Lebanese political issues on the one hand, and the continuation of activities that enable Iranian-Hezbollah hegemony on the other. "The struggle depends on two variables: Will the Lebanese State and the international community allow Iran and Hezbollah to exploit the naiveté of Lebanese leaders and establish a precision missile factory as they are attempting to do these days? Will Hezbollah under the auspices of the new electoral system succeed in the upcoming elections (May 2018) in pushing the Sunni camp out of power and officially turning the country into an Iranian patron state?"